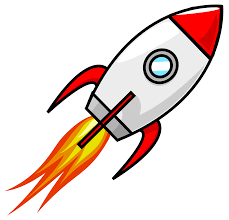 AIRLIFT SPECIAL PROJECT - NORTH DAKOTA NOW! CANVASSING - PHONE/TEXT BANKING - TRAINING! Some of the 30 MV CAN-vassers training in Tracy on Sept. 8. 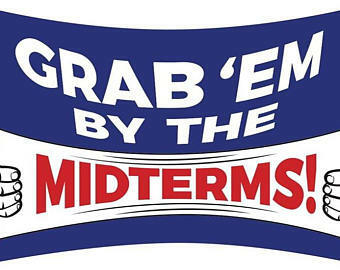 With each passing day, it becomes increasingly clear that the upcoming midterms are not just a choice between Democrats and Republicans, but between right and wrong. The first step in righting wrongs is just two weeks away! Our new comprehensive MVCAN Midterm Volunteer Weekly Bulletin is here! Below are some highlighted opportunities for volunteering. In a critical, competitive local race, come support MVCAN’s endorsed progressive candidate for Marin District Attorney, Anna Pletcher, by canvassing in Mill Valley - EVERY SATURDAY UNTIL THE ELECTION. Please RSVP to petergraumann@yahoo.com. 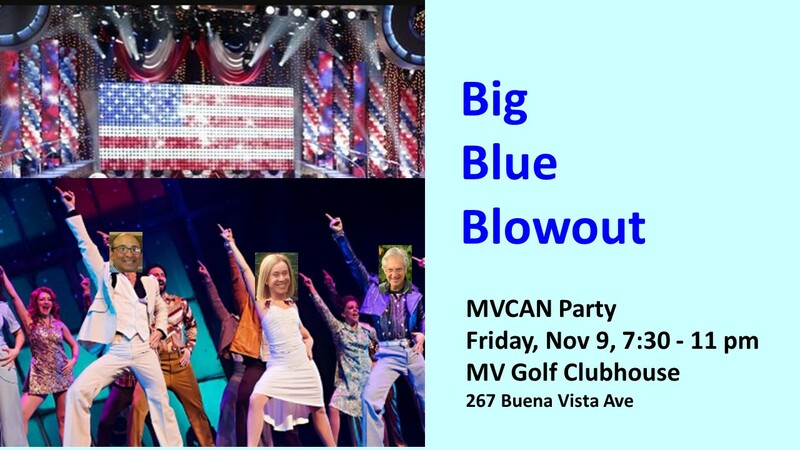 For details, see the the MVCAN Midterm Volunteer Weekly Bulletin. Phone bank for Anna Pletcher for Marin DA. See our special MVCAN Final Four Days GOTV Guide to help you plan your participation in the final four days of Get Out The Vote activities from Saturday, Nov 3 to Tuesday, Nov 6. There will be multiple special phone banks scheduled at our Sausalito phone bank location and multiple canvassing shifts. Canvassing destinations for MVCAN groups will include Tracy and Modesto in CD-10 (Josh Harder for Congress) and Las Vegas and Reno (Jacky Rosen for Senate). Schedules, transportation, housing for those going for multiple days, and sign-up links will be covered. Kudos to the MVCAN Midterm Task Force volunteers for organizing and strategizing election volunteer efforts! 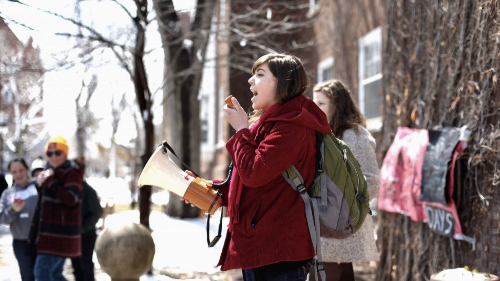 Leewana Thomas was Director of United Students Against Sweatshops and an organizer with Our Walmart. Senator Heidi Heitkamp of North Dakota courageously voted “No!” on Brett Kavanaugh. Now she needs our help! Airlift is partnering with The Movement Voter Project to push back against voter suppression in North Dakota and to keep Heidi in her senate seat, as well as to create some infrastructure that will last. The Movement Voter Project has recruited an incredible young organizer named Leewana Thomas to pull together an Alabama-style campaign (which got Senator Doug Jones elected), hiring 100+ organizers and giving mini-grants to dozens of tiny but passionate local groups. Airlift has already raised $5,000 from 35 separate donors for the North Dakota project. North Dakota does not require voter registration to vote. So in the coming weeks, Leewana and her team will be working in every corner of the state, including all five Indian reservations, all the colleges, and all the cities. They will find people who weren’t planning to vote, help them get their voter ID, and make sure they actually vote. Heidi was down 10% in the polls the last time she was re-elected…we can do this! Many MVCAN members have asked for guidance on whom and what to vote for in November in Marin. The State Democratic Party provides their recommendations on the following website: cadem.org/our-candidates. You can enter your address and the State Democratic website will provide a list of endorsements tailored to your ballot. MVCAN endorses Anna Pletcher for Marin District Attorney. On Oct. 29 Our Children's Trust will take the Trump administration to court for violating our constitutional rights by causing climate change. The Freedom Singers and 350Marin are holding a rally in San Rafael in support of Our Children Trusts on Mon. Oct. 29. Using science-based arguments, 21 students will present their case that our government has taken actions that deny them a “public trust” right to a future that includes THEIR right to life, liberty, and property. The rally will be held on Monday, October 29 from 4 - 6 pm at the Square in San Rafael in front of Cold Creamery, 1002 Court St. Please join us! Go to 350Marin's Website for more information and to register for the rally. Lynn Woolsey speaking at MVCAN meeting on Oct. 14. Photo: June Cooperman. MVCAN had a great turnout come out to see guest speaker Rep. Lynn Woolsey at our monthly meeting last Sunday. More than 70 members heard from our former Congresswoman about election insights gleaned from her long experience in office. Additionally, several MVCAN leaders gave exciting news on the midterm activities. Also we heard a terrific summary from Anna Pletcher about the critical role of a progressive DA candidate as a force for equality and justice. The meeting of the MVCAN leaders group was led by Chris Lydon and provided a snapshot of each MVCAN team in the weeks leading up to the midterms. The group also began to explore ideas about focus and priorities for after the midterms. MVCAN is committed to continuing our work of Keeping Democracy Alive for the long haul. 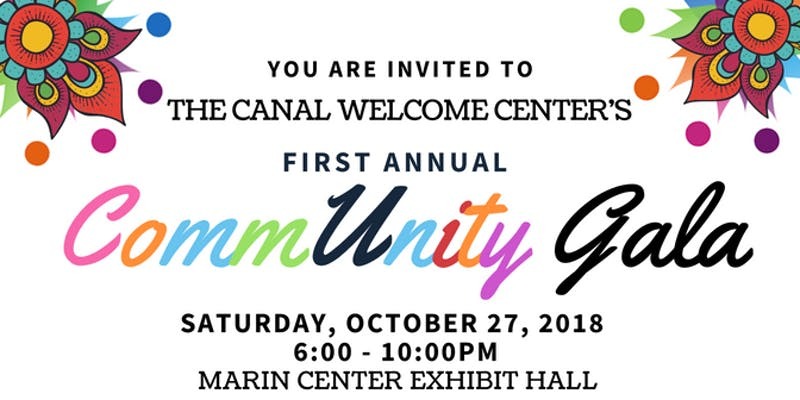 Come out and support the Canal Welcome / Multicultural Center of Marin at their community gala. The center has been a partner of MVCAN, working with our Immigration/Civil Rights team for the past two years, serving diverse immigrant and low-income communities in Marin County. Join in a memorable evening featuring multi-ethnic cuisine, community awards, live performances and dancing!